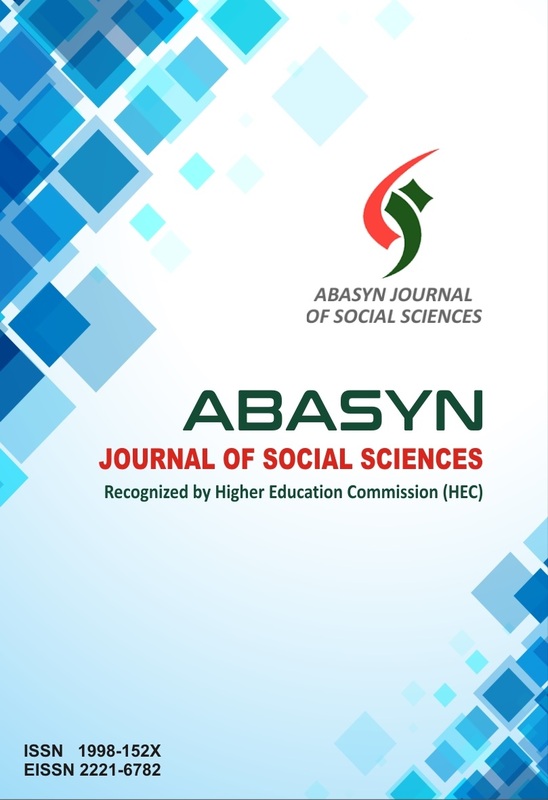 The Abasyn University Journal of Social Sciences (AJSS) is a multidisciplinary peer reviewed open access journal that is published on six monthly bases. The AJSS intends to serve as an open platform for academia, researchers and civil society to communicate their ides, views and research findings across the cultures. The journal strives to provide quality research publications that meet the general criteria of significance and scientific excellence. The management of the AJSS is committed to complete peer review process with in two months (maximum) and informs the author about the acceptance or otherwise about the paper accordingly. Open Access Policy: Abasyn Journal of Social Sciences ensures that all manuscripts published in it are freely accessible online/ via internet immediately upon publication, without any cost/barrier of subscription/registration to the readers universally.